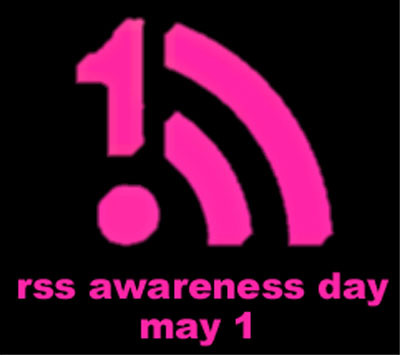 Today is RSS awareness day! Personally, my web browsing habits changed forever when I signed up with google reader, and started receiving my favorite blogs by RSS instead of following the links in my blogroll to check on my favorite blogs everyday. When I was manually checking, it took forever and I was inevitably disappointed when I landed on a blog that had not been update. Now, I follow three times as many blogs and it takes half the time! I also love that google reader allows me to mark my favorite articles, and even share them with my friends. My blogs are all categorized with key words to make it easy to search for articles by topic! I highly recommend switching over to RSS! To follow Chic and Charming by RSS click HERE! Amen to that...Google Reader is such a time saver. I love being able to scroll and save everything!